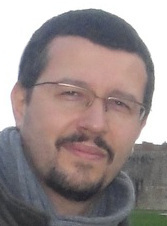 Tullio Facchinetti graduated in Computer Engineering (2001) and got his PhD in Computer Engineering (2005) at the University of Pavia, Italy. Since November 2007 he is Assistant Professor at the University of Pavia, heading the research on robotics, home automation and real-time systems at the Robotics Laboratory. Since 2002 he participated to several Italian and European projects focusing on real-time operating systems and embedded systems for distributed applications. He is author of more than 75 papers on international refereed journals and conference proceedings, and 1 international patent. He served as program committee member for more than 60 international events, and he chaired several tracks in international conferences and scientific events. He is an active organizer of scientific events. He also served as reviewer for more than 25 different international journals. Since year 2008, he was the supervisor of 10 PhD students, and tutor of Master and Bachelor Degree theses of more than 140 students. Since 2009 he is member of the IEEE, and since 2016 he is a member of the IEEE Robotics and Automation Society (RAS) and IEEE Industrial Electronics Society (IES). In 2016 he become a member of the IEEE FA13 Subcommittee on Computer Vision and Human-Machine Interaction in Industrial and Factory Automation, while in 2019 he become co-chair of the IEEE FA4 Subcommittee on Wireless Sensor Networks and Cyber-Physical Systems in Industrial and Factory Automation. His research interests include: real-time operating systems, embedded systems, energy efficiency, home automation, cyber-physical systems, autonomous robot navigation, machine learning. For a short overview of covered research topics, and possible topics for Master/Bachelor theses, please take a look to the titles of Master and Bachelor Degree theses.